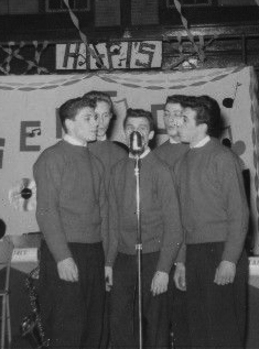 In 1957, while in Garfield High School, Rich Jezercak formed the vocal group the Bel Airs, then changed to the Shal-Vans with the original members, and named the Hi-Fives in 1958. As the Shal-Vans they sang at school affairs, dances and amateur shows some of these in the Apollo Theatre. 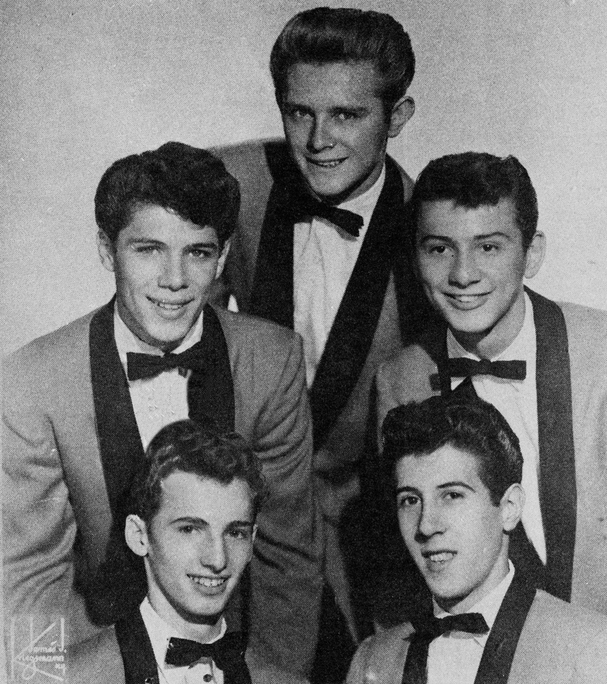 In 1958 their manager, Junie Dee send the group to Decca Records for an audition,the label liked the group but not their name and change to The Hi-Fives. The group recorded a number of songs on the Decca label. One of those recordings, "Dorothy", became a regional hit in the New York City/Philadelphia region. While with the Hi-Fives, Dave Brigati began collaborating with Joseph DiNicola (known professionally as Joey Dee) of nearby Passaic, New Jersey, who sang back-up on a few of the Hi-Fives recordings. 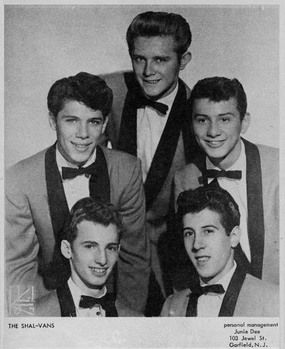 In late 1958, Dee recruited Brigati (after a gig at Garfield High School) to join his group the Starliters. 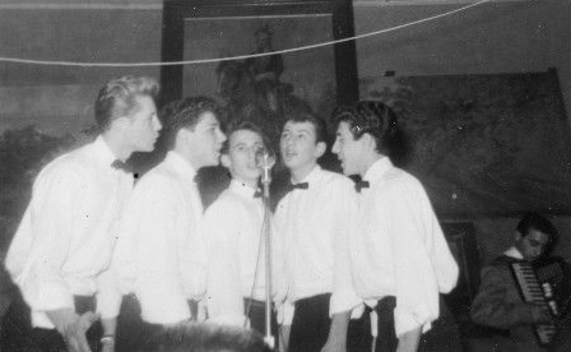 Brigati became a lead singer with the group and his lead vocals can be heard on their first single release entitled "Face of An Angel". Joey Dee with David Brigati "on lead"